I had a great experience with Jeff Janoff and his legal secretary, Angie. My medical malpractice case against a large health care provider ended with a very fair settlement that was justified. Without Jeff's experience, diligence, and attention to detail, I would not have gotten the settlement I deserved. Mr. Janoff is an awesome representative in my passenger/SUV accident. The SUV insurance company tried to intimidate us so much that we finally had to get legal counsel. We are lucky to have found Mr. Janoff. He gave us personal attention and justified advice and he worked efficiently to resolve our issues with the insurance company. I have known Mr. Janoff for 15 years and he has handled matters for my family and several friends. I have the up most respect for his ethics, knowledge, litigation skills and follow-through. In my business, I routinely deal with attorneys and Mr. Janoff is insightful, practical and an excellent communicator. The thing I liked best about the firm was their professionalism. They always responded promptly to my telephone calls. I had a very difficult case and Mr. Janoff was able to obtain an excellent recovery for me and my wife. My wife was seriously injured on the property of a major hotel while vacationing in Las Vegas. Without going into detail about the specifics of the incident, we can state that finding Mr. Janoff was a godsend to us. $2 million arbitration award for a woman who suffered life-changing brain injuries as a result of doctors negligently discontinuing her medication. $1 million for a U.S. mail carrier who sustained a fractured skull and neck when he was struck in the head by falling debris from the defendant's building. Personal injury is one of the most ancient forms of law. It holds that a person harmed by another–the old word for harm was tort–can demand compensation for the harm. Over the years, personal injury law has become very complex. To be effective, the best attorneys must be familiar with oceans of case law, requiring constant updating. The everyday automobile accident is still the number one cause of serious injuries and fatalities. At Janoff Law, we have represented many hundreds of accident victims injured in rear-end collisions, side-impact crashes, and other accidents. Many personal injury law firms focus on minor accidents that are easier to settle, such as fender benders, whiplash, and routine cuts and scratches. At Janoff Law, in San Jose, California, we handle cases with injuries that are serious and more complex. We represent parties whose injuries changed their lives forever, and in many cases, ended them. These include such catastrophic injuries as severe burns, paralysis and quadriplegia, traumatic brain injury, birth injury, and injuries occurring on the surgical table. If you have questions regarding your serious injuries following an accident in California, do not hesitate to contact our law firm today. Clients appreciate our devotion to obtaining maximum compensation for serious injuries. However, catastrophic injury representation is not all we practice. We handle conventional personal injury cases as well, including car accidents, slip-and-falls, and on-the-job injuries. In addition, we represent workers who have been victims of sexual harassment in the workplace. Clients know that when we take their side, they have a fierce advocate in their corner. You can rest assured knowing you will be treated personally by attorney Jeffrey D. Janoff, not handed over to an associate or paralegal. 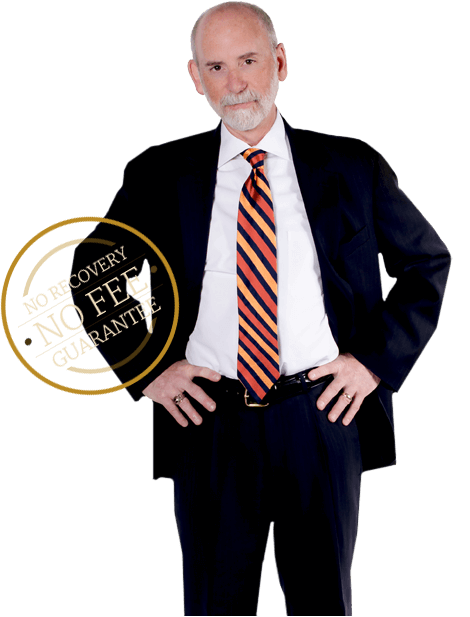 Our clients have the security of our no recovery, no fee guarantee. You pay nothing in personal injury cases until we achieve a positive outcome for you. Medical malpractice is a serious issue in California. That is why we provide aggressive representation when you are hurt because of a doctor's negligence. In worst-case scenarios, we represent surviving family members seeking compensation for the wrongful death of a father, mother, sibling, or beloved child. This level of a claim requires the advanced skills of an attorney with the ability to analyze complex situations, including medical records. You also need a lawyer with the diligence to conduct extensive research on each case, teaming with expert authorities when necessary. Finally, you need an aggressive attorney to go after the maximum compensation possible, owing to the devastating impact of the injury. At Janoff Law, we have these capabilities. For more than three decades, we have battled with insurance carriers, medical insurers, and health care systems to acquire just treatment for our seriously injured clients. In the mediation services part of our practice, we play the very different role of neutral facilitators in alternative dispute resolution methodologies—mediation and arbitration. We invite you to learn more about this low-cost, reduced-anxiety alternative to courtroom litigation. If you are dealing with the aftermath of a catastrophic injury, seek qualified representation. San Jose personal injury attorney Jeffrey D. Janoff invites you to call our office at 408-286-2300 or contact us online to discuss compensation.